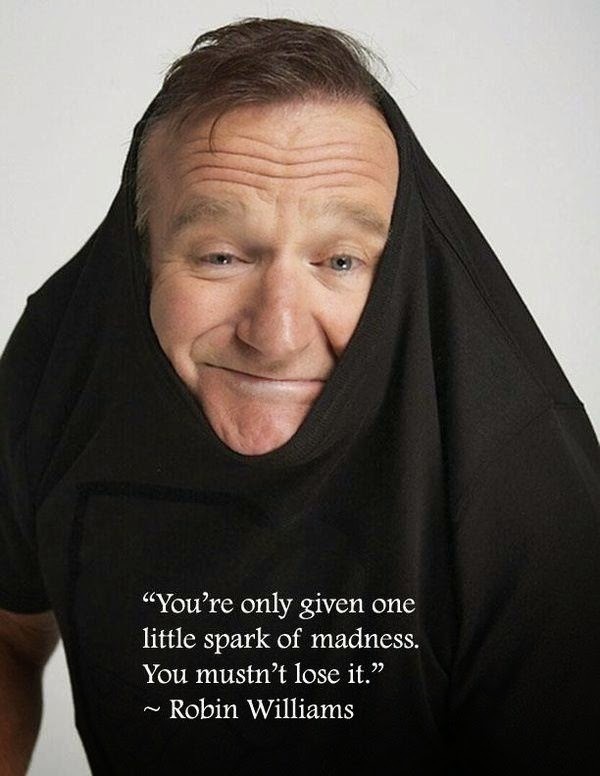 When we think about Robin Williams there is not too much to say, he was one of the best, of the biggest of the most unforgettable. 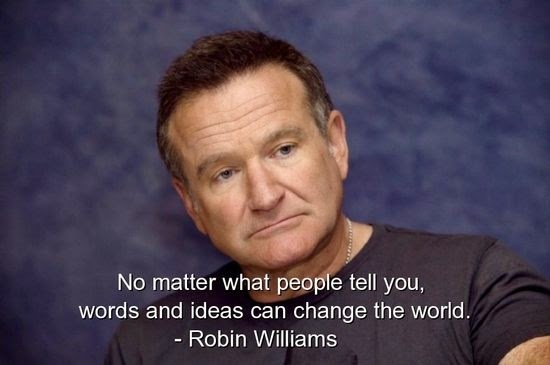 Below you are going to find some Robin's quotes that show us his bright brain. 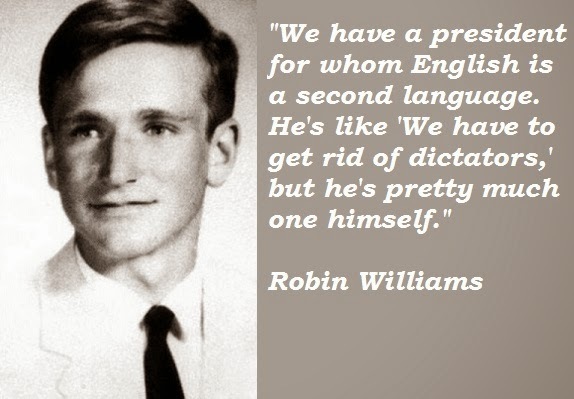 "We have a president for whom English is a second language. He's like "We have to get rid of dictators," but he's pretty much one himself." I was on this German talk show and this woman said to me: "Mr. Williams, why do you think there is not so much comedy in Germany?" 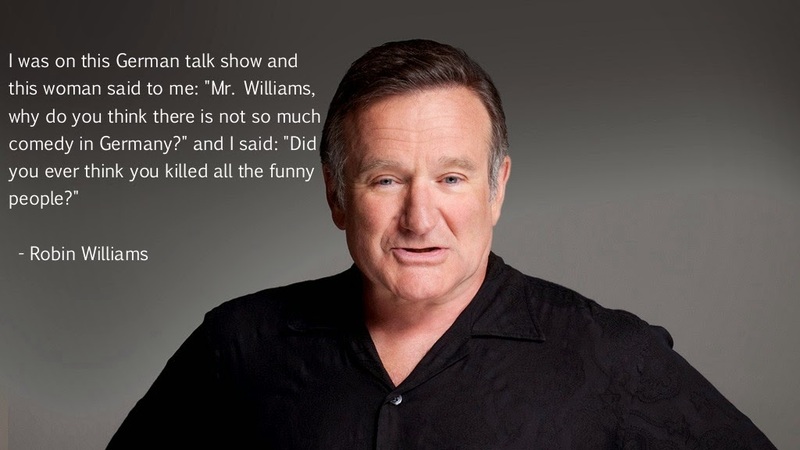 and I said: "Did you ever think you killed all the funny people?" You know what music is? God's little reminder that there's something else besides us in this universe, a harmonic connection between all flying beings, every where, even the stars. 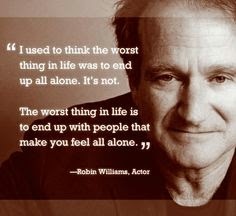 "I used to think the worst thing in life was to end up all alone. It's not. 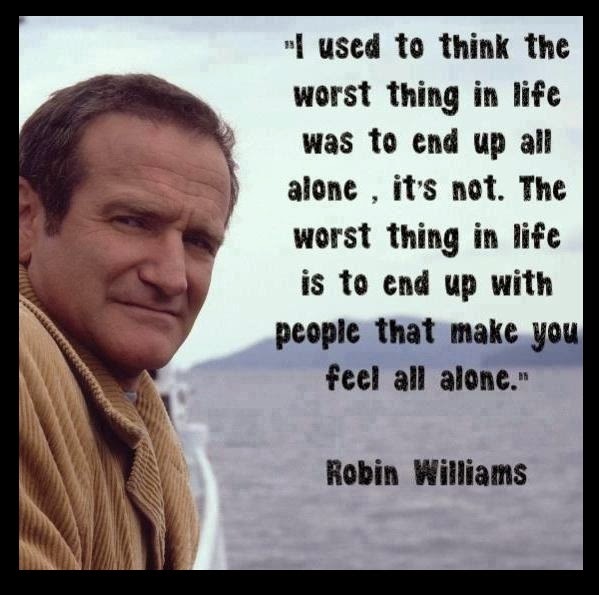 The worst thing in life is to end up with people that make you feel all alone." 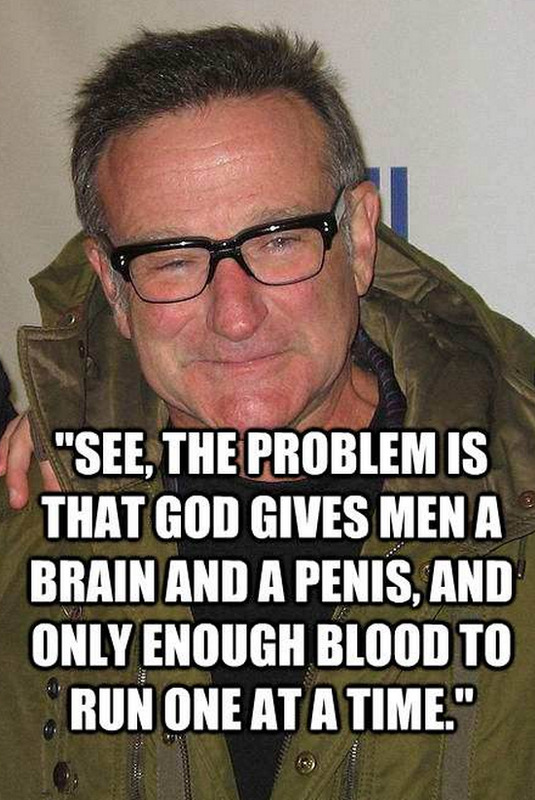 I hope you have enjoyed these Robin Williams's Quotes.